Even though I’ve reviewed a few backpacks to hold my gadgets and stuff, this is the first bonafide suitcase I’ve reviewed. 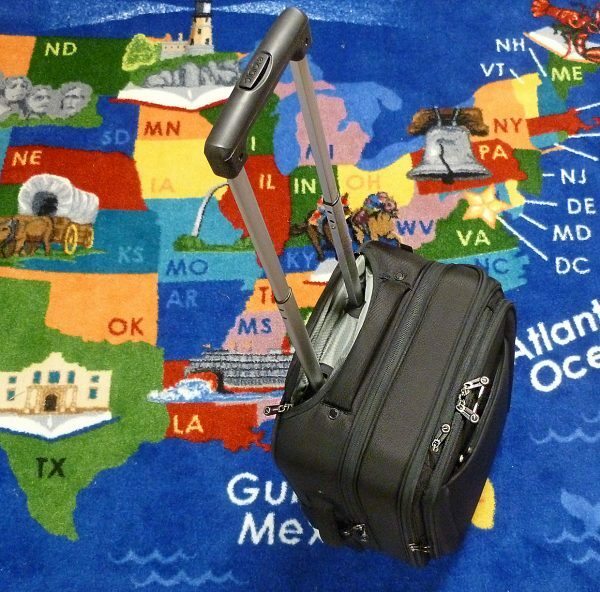 I don’t travel much for my job, but when my wife and I travel, our cheap carryons are nothing but a pain—and kinda embarrassing when seen at an airport. 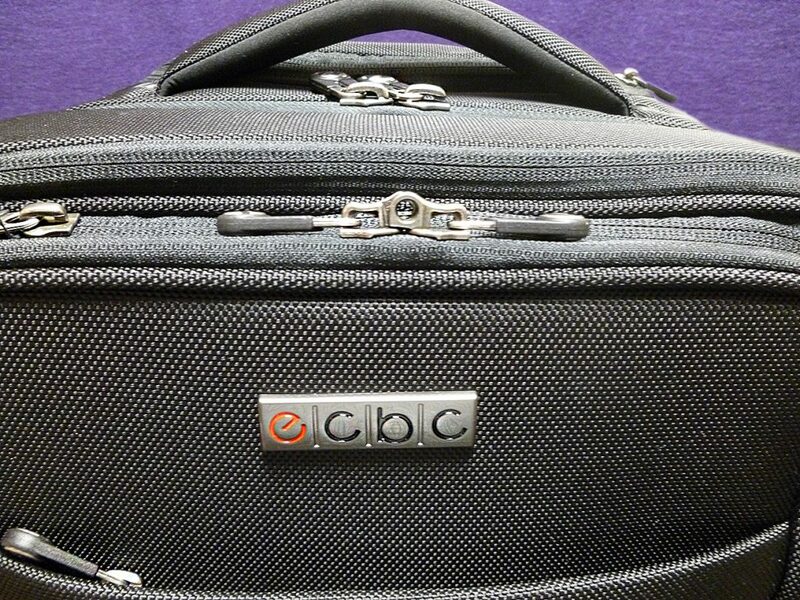 So when the very attractive ec-bc Sparrow II wheeled garment bag was made available for review, I couldn’t resist. 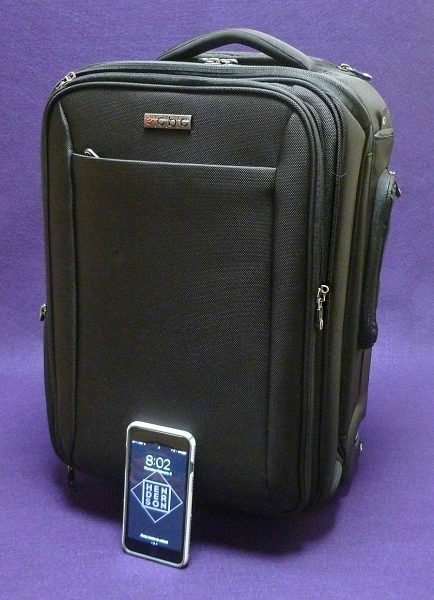 While I was expecting a nice carryon (anything would be better than what I have), I wasn’t expecting one so well designed for travel in today’s connected world. 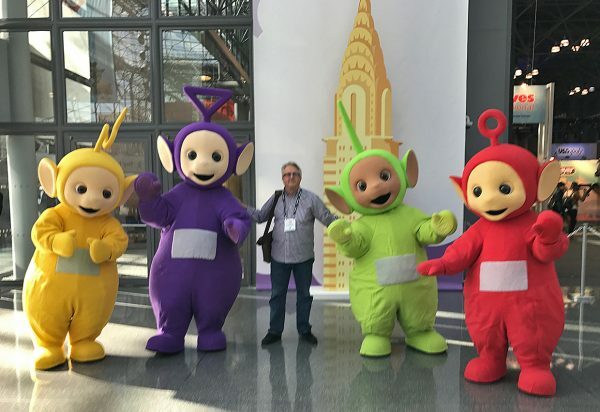 ec-bc (what’s with the lower case name?) 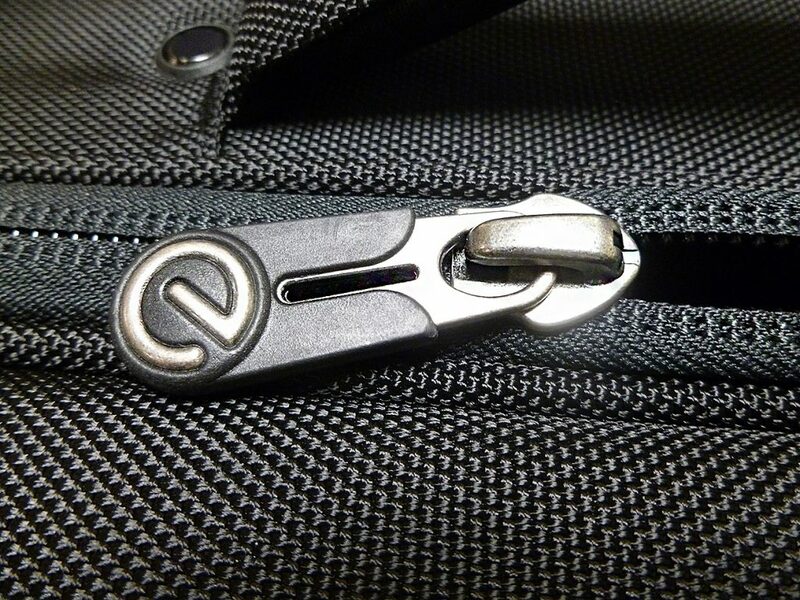 makes many messenger bags, backpacks, and carryon bags for all situations. The Sparrow II is a successor to their original Sparrow wheeled garment bag. 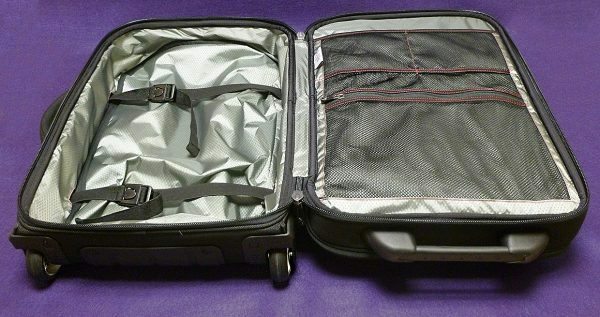 Tighter flight restrictions required ec-bc to design the Sparrow II to hold as much as the original but also shave of an inch here and there to pass easily through x-ray scanners and fit into overhead bins when used as a carryon. ec-bc calls the Sparrow II “TSA friendly” meaning many items that usually go into that grungy looking tray can be placed into front compartments of the bag. Then all you need to do is unzip it, lay the Sparrow II flat and let it go through the scanner. Done. The Sparroater II has more pockets and pouches than my wonderful Everki backpack and I didn’t think that was possible. 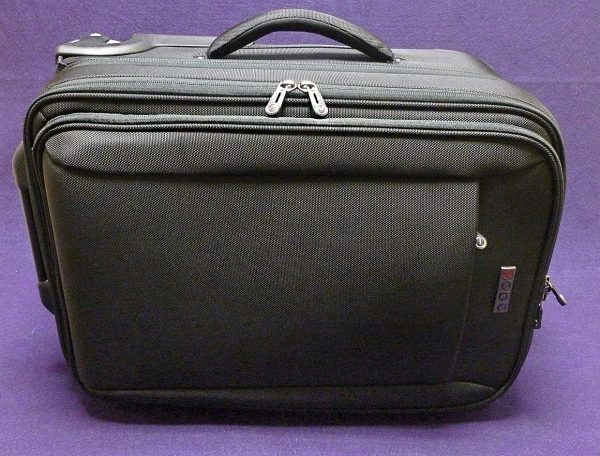 Included are wide pockets for a (up to) 15” laptop as well as a separate 12’ wide pocket for tablets. 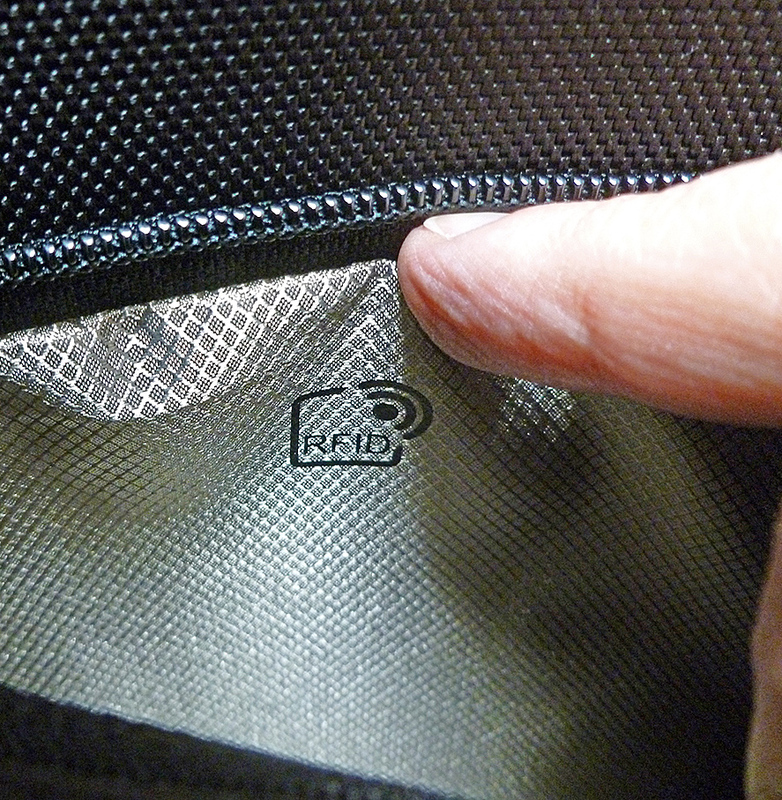 The laptop pocket has high density foam lined along the bottom. Above the iPad pocket is a netted pocket for wiring and other accessories placing them within easy reach. This section is protected by lockable zippers. 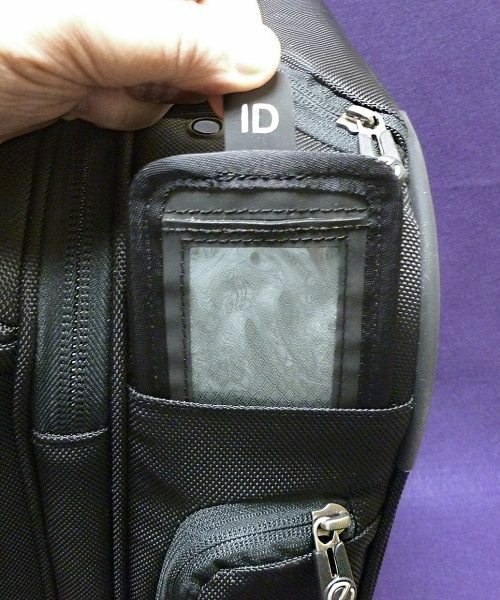 There’s even an RFID front pocket that protects smartphones or other electronics that may contain electronic personal account info. 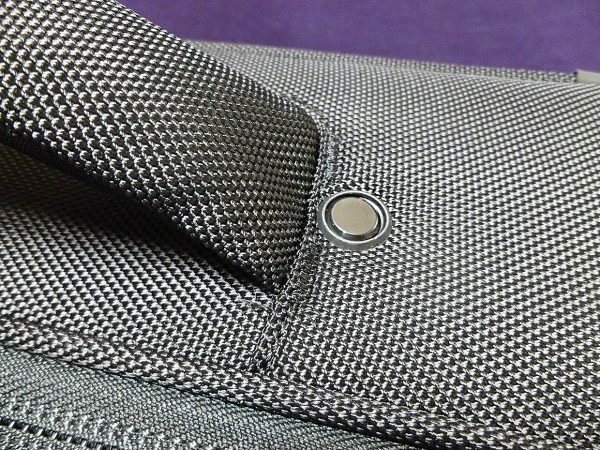 Also on the outside of the laptop and tablet pockets is a shallow pocket for whatever you may need without digging into the bag, such as passports or tickets. 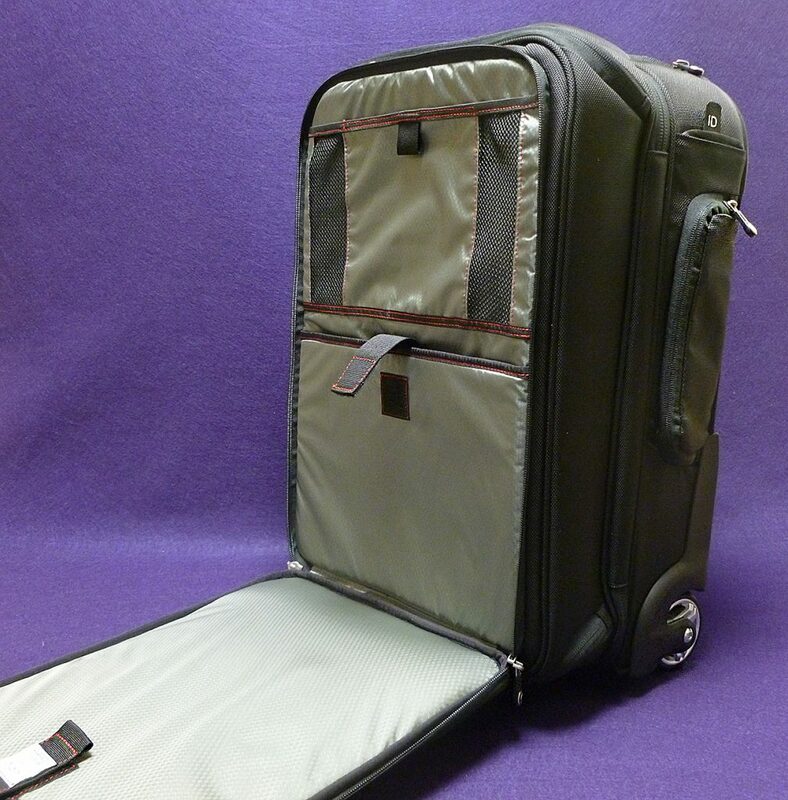 At the top, there is a hidden, (up to) 21 inch retractable handle that lets you wheel the bag around any airport or train station with ease on its sturdy hard-rubber wheels. 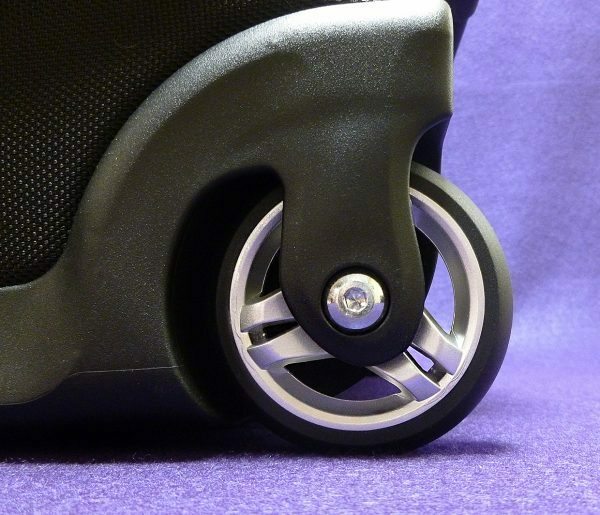 The wheels are bolted to the bag quite well and should hold up for a long time. However, they are replaceable should it become necessary. Delving into the 9 in. bag is an area for hanger items, such as shirts, pants or suits. 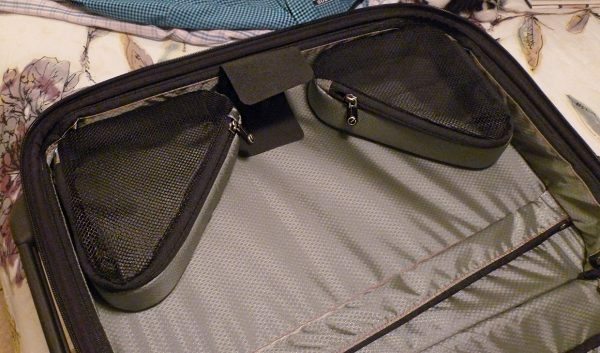 This part folds out twice so that when the shirts/pants/suits are strapped in place and then folded back, it will help keep these items in place and minimize wrinkling. 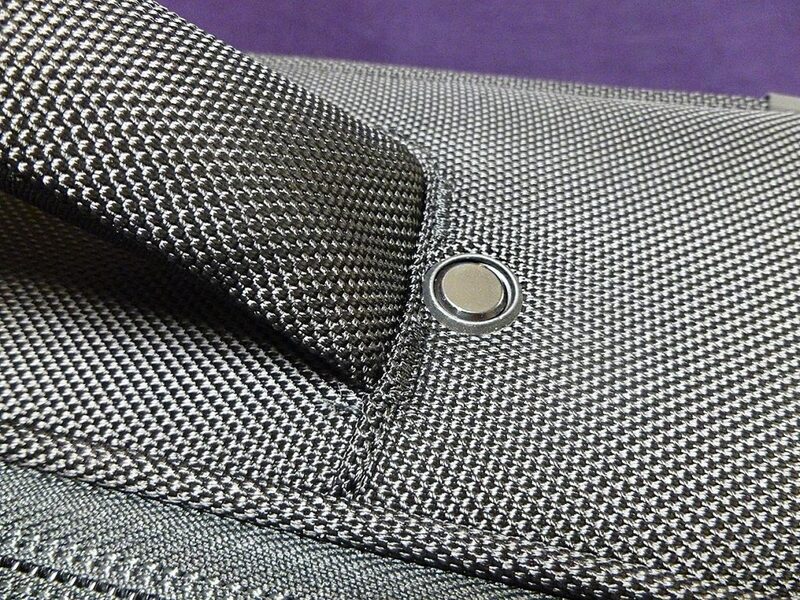 There are two trangular-shaped corner mesh compartments that can hols smaller items that will otherwise bounce around becoming easy to lose. Even further inside the bag under the hangered items is a larger opening for stuff that can’t get wrinkled, like shoes, underwear, jeans, etc. 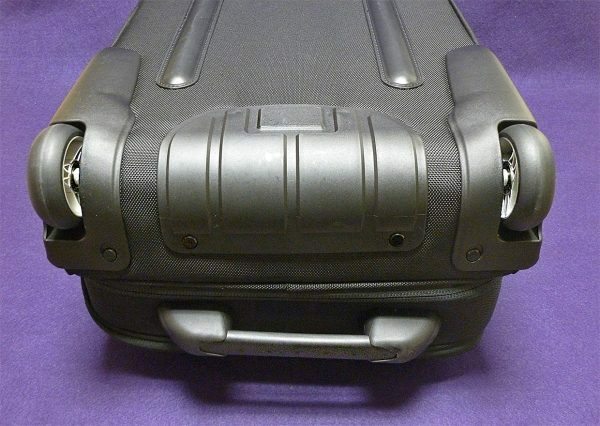 The retractable handle protrudes into the bottom of this compartment, so it’s not a flat surface. This is the only part of the bag that feels a bit less than premium. On one exterior side, there’s a tall and narrow netted pocket for a water bottle. 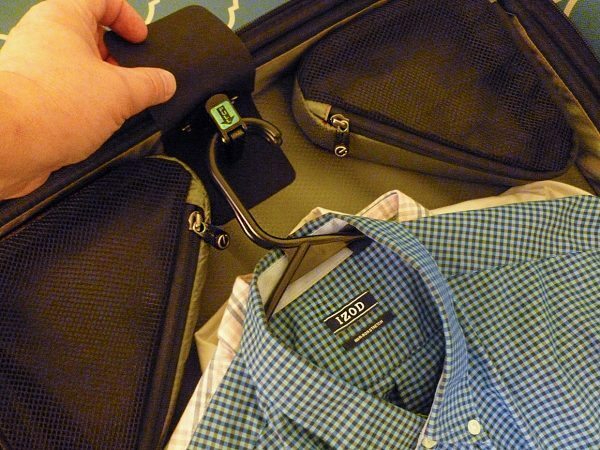 Above that is a retractable luggage tag. On the opposite side is a well-padded carrying handle. Since a full bag can become heavy, I’m not sure why anyone might want to carry the Sparrow II. The Sparrow II is made to take abuse. Its ballistic nylon exterior covering is water resistant and extremely resistant to wear and tear. 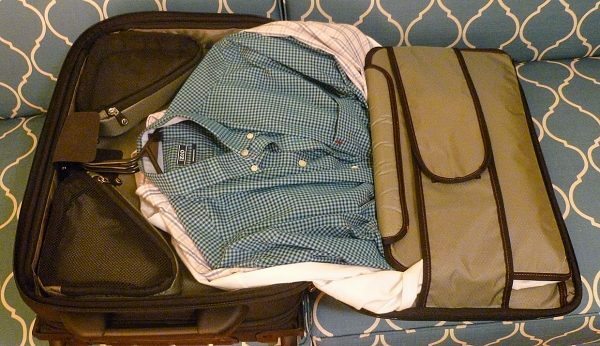 Once zipped up, the garment bag will keep everything inside dry should you be walking or running across a parking lot in pouring rain. The water-tight zippers are even self-repairing. The Sparrow II comes with a separate 6000mAh portable power bank (battery), which should recharge a smartphone a few times over. It’s disappointing that the power bank doesn’t connect to the bag leaving an easy to reach USB port at or near the top of the bag, but the power bank can be stored in the shallow pocket at the top/front of the Sparrow with a small unzippered space for the charging cord to be inserted. It’s easy to see how well the ec-bc Sparrow II wheeled garment bag is made and how much it will hold. At $399, it should do quite well no matter what is required of it. But the proof—as they say—is in the pudding. In late February, I’ll be visiting New York City on business and will report back (with photos) about how the Sparrow II performed. Will it fit in the overhead compartment? 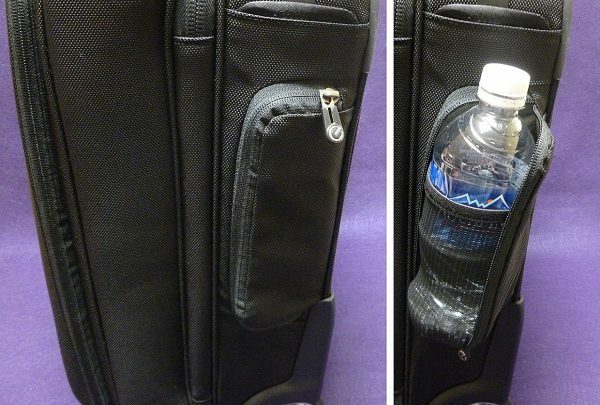 How easy will it go through the TSA scanners? 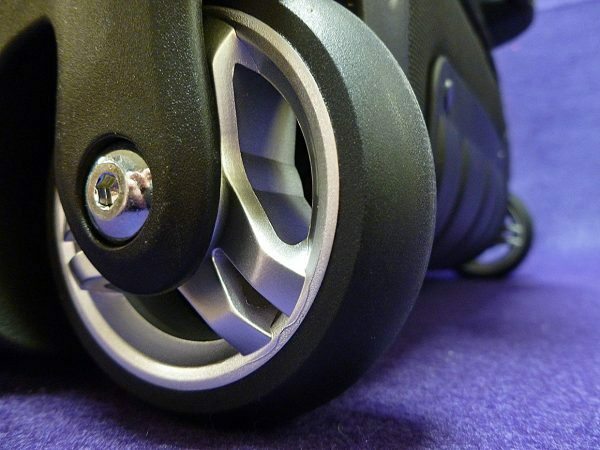 What about wheeling it around NYC sidewalks with (maybe) snow and sleet? It should be an eye-opener. Stay tuned. I have recently returned from a business trip to the 2017 Toy Fair in New York City (I’m in the children’s education market). It afforded me a perfect opportunity to road-test the Sparrow II. All in all, it performed wonderfully with one caveat: Airline rules allow a max size for carryon bags and the Sparrow II fits those measurements exactly—when empty. Once I piled my stuff into the bag, the bag’s depth grew from 9 in. to almost 14 in. Not surprisingly, it did NOT fit into the airlines sizing contraption. When I tried to check the bag at the counter (and pay extra), the JetBlue woman said to not worry and that it would fit just fine. Once I boarded the plane, it easily fit into the overhead compartment. So JetBlue has elbow room in their overheads. Just sayin’. 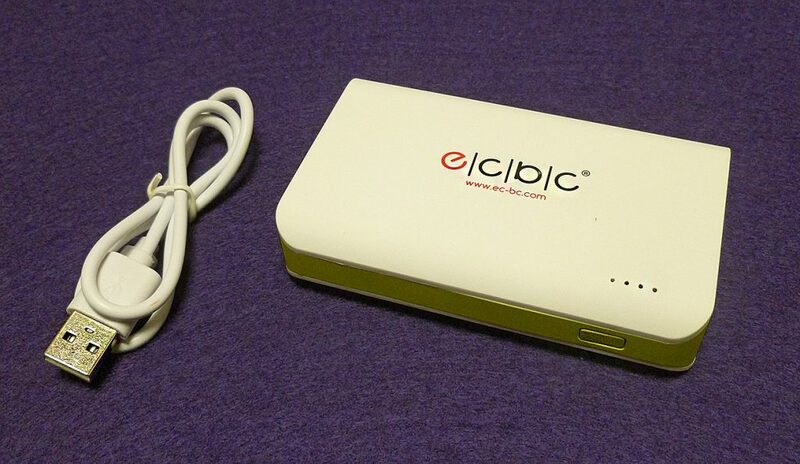 Source: The sample for this review was provided by ec-bc. Please visit their site for more info and Amazon to order. 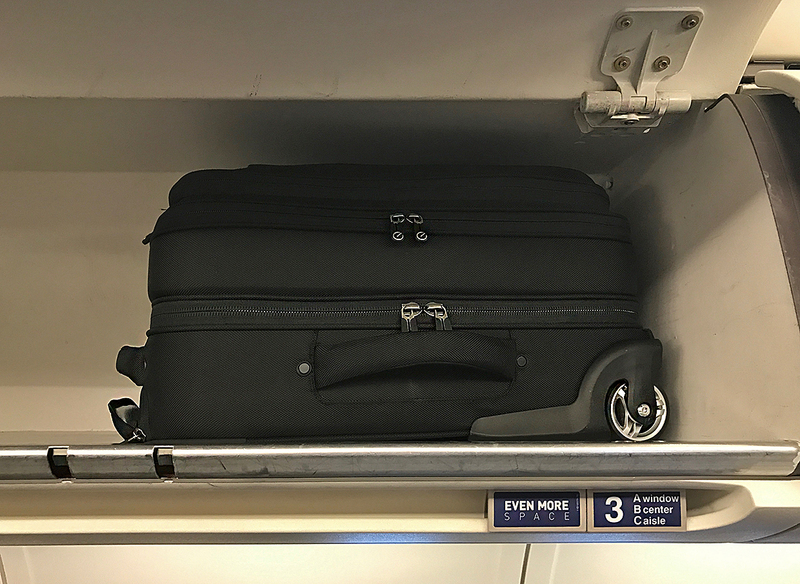 Carry-on wheeled bags are supposed to go into the overhead wheels-first, not sideways. You found “elbow room” because you took up the space of about 2 bags. You have a point since the flight was not full. However the size difference was in the depth, not the width or length—which cannot change whether full or empty. 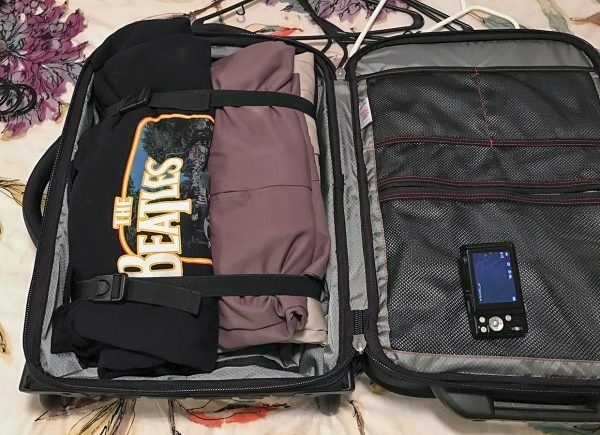 Since I packed the bag, it went from 9 in. to 14 in. deep. Luckily, it didn’t matter in the end. It fit anyway.